Please note that since 2017, Nitrofurantoin has been the most widely prescribed first line treatment for cystitis, although some women may find either Nitrofurantoin or Trimethoprim responds better to their symptoms. Please note, women who have taken Trimethoprim in the past year should consider Nitrofurantoin instead. 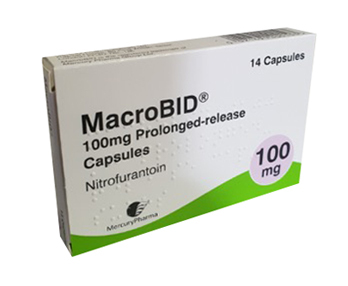 Please note, the branded Macrobid (Nitrofurantoin) capsules that Medical Specialists® supply, are manufactured in packs of 14. 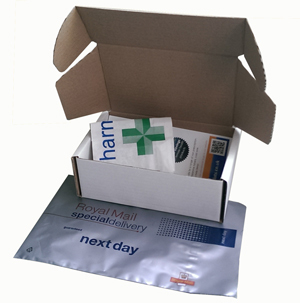 Therefore, you may receive a plain box with a printed patient information leaflet (PIL) if a larger pack has to split. 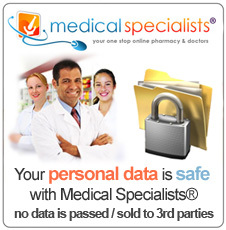 Rest assure, Medical Specialists® only ever supply fully UK licensed medicines. Nitrofurantoin is an antibiotic used to treat urinary tract infections (UTIs), such as uncomplicated cystitis. Patients must carry on taking this medicine until the course is completed, even if you feel better after the first day for example. Due to more of the bacteria that causes cystitis becoming increasingly resistant to the antibiotic Trimethoprim, Nitrofurantoin is more commonly prescribed and is considered a more effective treatment. Although Nitrofurantoin is usually the first choice for cystitis, Trimethoprim is still very effective for some women. When you take Nitrofurantoin, your body quickly filters it out of your blood and into your urine. This is beneficial if you have a urinary tract infection such as cystitis as the drug will be concentrated at the site of infection. Therefore, Nitrofurantoin is not suitable for other types of infections. Nitrofurantoin may turn your urine a yellow or brown colour during your course of treatment. This is normal and a more normal colour will be visible once you have completed the treatment. 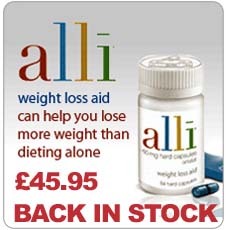 •	Adults: 100mg slow-release capsules twice daily for 3 days to treat uncomplicated cystitis. •	Improvements should be seen in 24 hours and symptoms are usually cleared after the 3 days. •	If your symptoms do not improve or are worsening after your course of treatment, consult your Doctor. Nitrofurantoin is now the most widely prescribed first line treatment for cystitis, although some women may find either Nitrofurantoin or Trimethoprim responds better to their symptoms. Both are effective antibiotic treatments for cystitis, although there is believed to be increasing antibiotic resistance to Trimethoprim. Up to approximately 30% of bacteria responsible for water infections are resistant to Trimethoprim. However, some women may find one of the other treatment is more suitable for them and their infection responds better to a particular antibiotic, or they may find they experience less side effects with either Nitrofurantoin or Trimethoprim. If you are not sure which antibiotic treatment is more suitable for you, your Doctor should be able to offer appropriate guidance. Where can I buy Macrobid / Nitrofurantoin online? 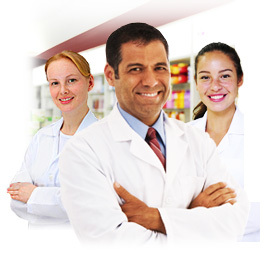 You can buy Macrobid / Nitrofurantoin with or without a prescription at Medical Specialists, after completing a simple online consultation. Just complete an online consultation by clicking the orange button above. 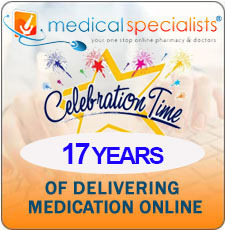 We are the UK’s leading online supplier of prescription medication in the UK and our pharmacy which is regulated by the Royal Pharmaceutical Society of Great Britain. Like all medicines, MacroBID can cause Side Effects, although not everybody gets them. Most of them are mild and disappear when you stop taking MacroBID. If you experience any of the Side Effects detailed below or any other Side Effects, stop taking MacroBID and consult your doctor. All medicines can cause allergic reactions although serious allergic reactions are rare. If you notice any sudden wheeziness, difficulty in breathing, swelling of the eyelids, face or lips, rash or itching (especially affecting your whole body) STOP TAKING your medicine and go to a doctor immediately. Please note that while taking MacroBID your urine may become coloured dark yellow or brown. This is quite normal and not a reason to stop taking the medicine. MacroBID may cause the liver to become inflamed, producing jaundice (yellowing of the skin or whites of the eyes). A variety of skin rashes or reactions have occurred in some patients. These may appear as flaking skin, a red rash or fever accompanied by rapid heart rate and severe rash with blistering. Other reactions may include inflammation of salivary glands (causing facial pains), inflammation of the pancreas gland (causing severe abdominal pain) and joint pains. Urinary infection by germs which are not sensitive to MacroBID. Tell your doctor if you are not sure about any of the above. you have anaemia (a decrease in red blood cells causing pale skin, weakness and breathlessness); a lack of vitamin B or abnormal levels of salts in your blood (your doctor will be able to advise you). The above conditions may increase the chance of developing a side effect which causes damage to the nerves, altered sense of feeling, like pins and needles. you have urine coloured yellow or brown. Please tell your doctor or pharmacist if you are taking or have recently taken any other medicines, including medicines obtained without a prescription. If they are taken with MacroBID their effect or the effect of MacroBID may be changed. Typhoid vaccine, which is given for the prevention of typhoid. If you are in doubt about any of these medicines ask your doctor or pharmacist. MacroBID capsules should be taken at meal times with food or milk. 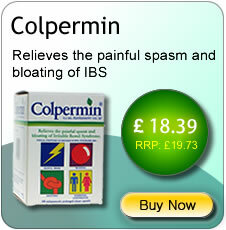 This will help to avoid stomach upset and also to help the absorption. Ask your doctor or pharmacist for advice before taking any medicine. As far as it is known MacroBID may be used in pregnancy. However it should not be used during labour or delivery because there is a possibility that use at this stage may affect the baby. If you want to breast feed, please consult with your doctor first. MacroBID may cause dizziness and drowsiness. You should not drive or operate machinery if you are affected this way until such symptoms go away. This medicine contains lactose and sucrose (sugars). If you have been told by your doctor that you are intolerant to some sugars and have to avoid them, contact your doctor before taking this medicine.